Today was an exciting day. Today, our friend and partner Dr. Katy Nelson was a guest on The Today Show with Kathie Lee and Hoda, talking about, what else? Fresh food for our beloved dogs and cats! Well, little did we know that not only would Freshpet get a mention (hooray! ), but that Dr. Katy would spend the morning hanging out with Olympic Champions and dog-lovers Gus Kenworthy, Joss Christensen and Nick Goepper. And some adorable rescue pups ready for adoption! We can always count on Kathie Lee and Hoda for a lot of fun, but with these three in the mix, anything could happen. 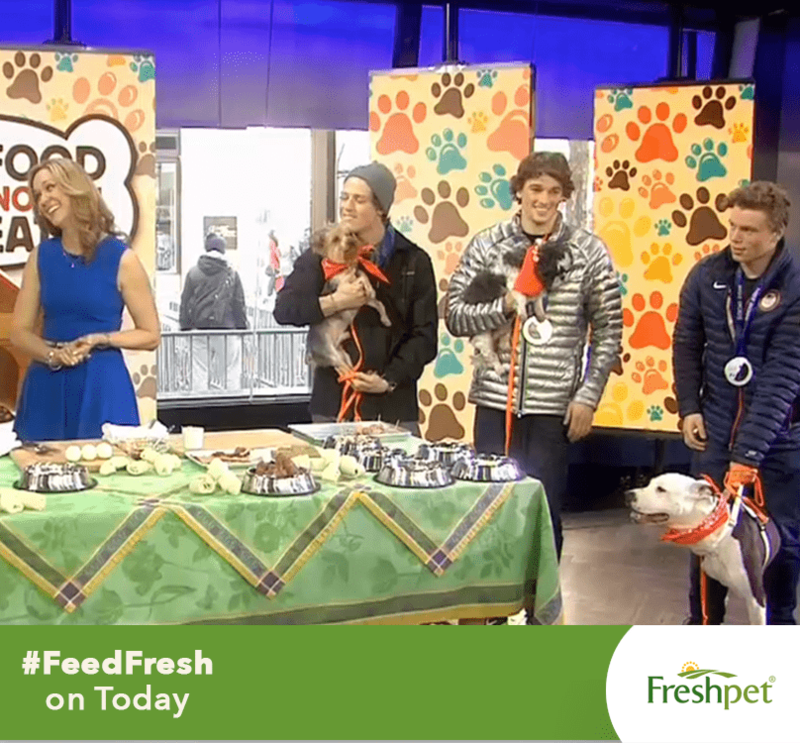 Well, hilarity did in fact ensue when all three of the boys started chowing down on Freshpet. As a bonus, here is Olympian Gus Kenworthy eating Dog Joy Turkey Bacon... in gif form. And don't forget- if you haven't taken the #FeedFresh Pledge, you can still do so to get a coupon for free fresh dog food and fresh cat food!